Mouth breathing is not normal and leads to facial structural changes and skeletal alignment issues. In addition, it can lead to other issues such as dental tooth decay and gum disease. Nasal breathing is more difficult when there is congestion, allergies, or other forms of obstruction. This forces the body to mouth breathe. 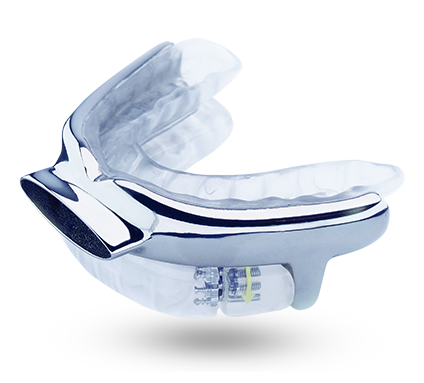 Mouth breathing is a common reason for CPAP intolerance. 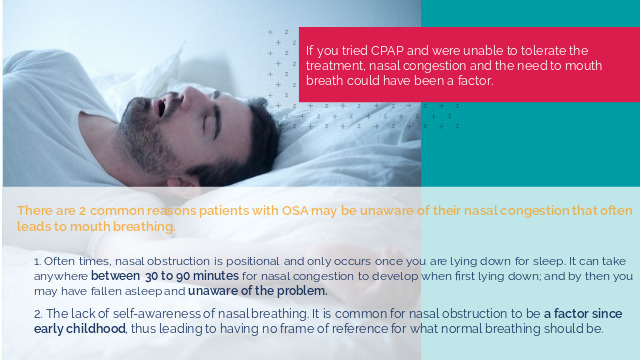 There are 2 common reasons patients with OSA may be unaware of their nasal congestion that often leads to mouth breathing. 2. The lack of self-awareness of nasal breathing. 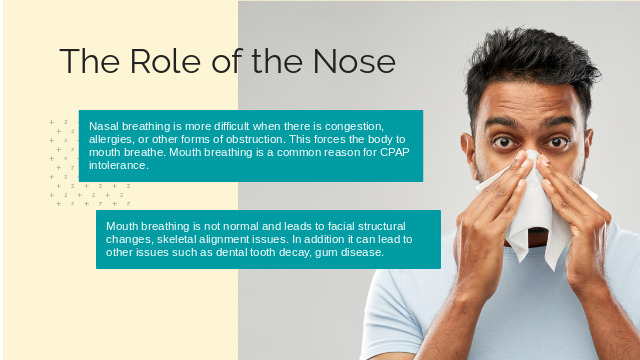 It is common for nasal obstruction to be a factor since early childhood, thus leading to having no frame of reference for what normal breathing should be. 1. Often times, nasal obstruction is positional and only occurs once you are lying down for sleep. 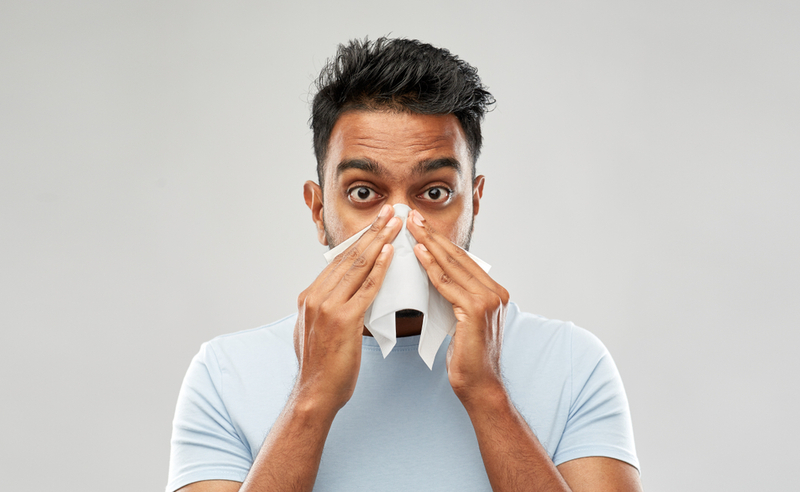 It can take anywhere between 30 to 90 minutes for nasal congestion to develop when first lying down; and by then you may have fallen asleep and be unaware of the problem. If you tried CPAP and were unable to tolerate the treatment, nasal congestion and the need to mouth breath could have been a factor. There is building clinical evidence that nasal congestion is a risk factor in sleep disordered breathing. 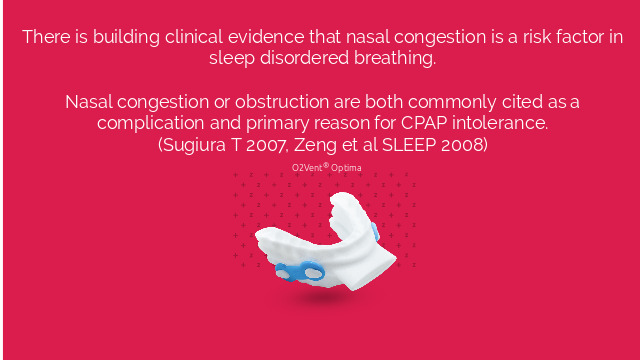 congestion or obstruction are both commonly cited as a complication and primary reason for CPAP intolerance.